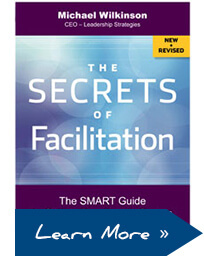 Learn the techniques our facilitators use to achieve amazing results! Training is GREAT…when we actually learn something. Learning is GREAT…when we actually exercise those new skills. And we all know the best way to turn learning into habit is through repetition. That’s when we really begin to see results. The Effective Facilitator Monthly Touch is a 12-month program designed for professionals who want a refresher on the over 101 techniques taught in the Effective Facilitator Course. Extended Consultation: 12 months of extended consultation on the 12 key principles and topics taught in the Effective Facilitator Course in a virtual setting. You attend one, 1-hour virtual session every month for 12 consecutive months. The first 30 minute segment of each session is spent discussing one of the 12 key principles or topics taught in the Effective Facilitator Course and how it may be applied in different scenarios. The second 30 minute segment is spent discussing your personal questions and situations.